This game does not use any DOS-Services, only BIOS interrupts. 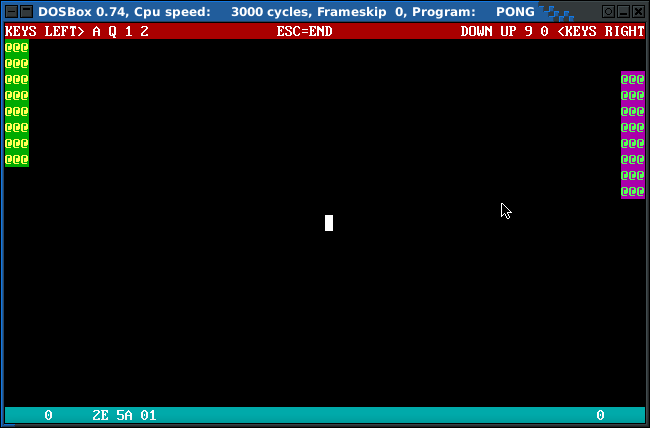 It runs on bare-metal PCs using a floppy "com loader" program. This game was more like a excercise for me and to build me a toolchain, and get used to it, for an AM186 system, that I am working on.